Nestled into the woods, this custom home bends around existing trees to have a minimal impact on the site. 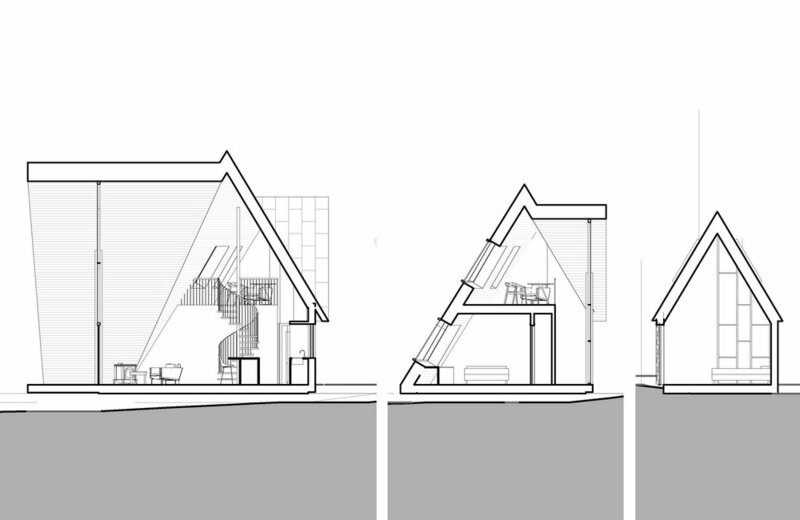 Our clients approached us to design a compact home on a beautiful site on the foothills of Mt. Hood. With a stream at the back of the site, and beautiful forest covering most of the land, our mission was to design a home that would compliment the surroundings, and have a minimal impact on the natural environment. We sited the house in a small clearing and bent the form to squeeze between the trees, with the goal of not having to remove any trees to make way for the new structure. 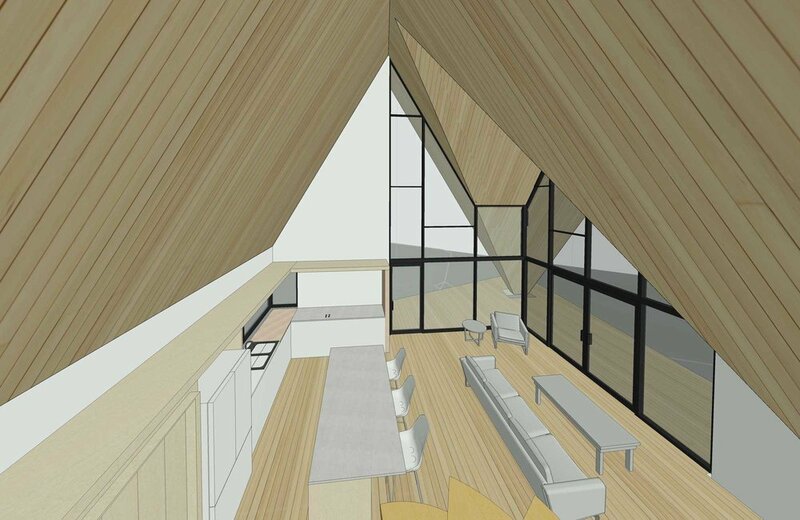 Another driving force behind the design was to be a contemporary home with warmth and texture of a rustic cabin. 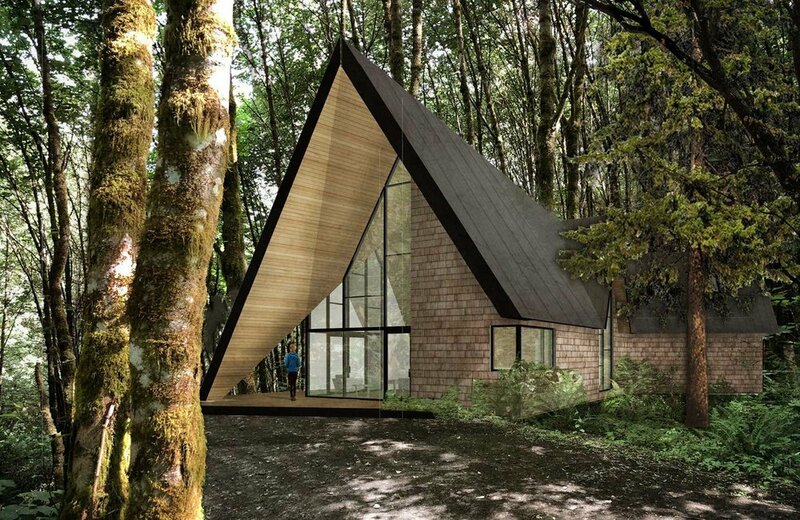 This lead to a contemporary twist on a traditional A-frame style home. In some places the roofs come down to the ground like a traditional A-frame where in other places the roofs were cut back to avoid the surrounding trees. Cedar shakes cover all of the vertical walls, while the A-frame roofs are covered with metal. This juxtaposition of a sharper industrial material, and the warmth and texture of cedar further emphasizes the clash of contemporary and traditional. The house itself consists of a spacious "great room," a home office loft space, two bedrooms and two bathrooms. 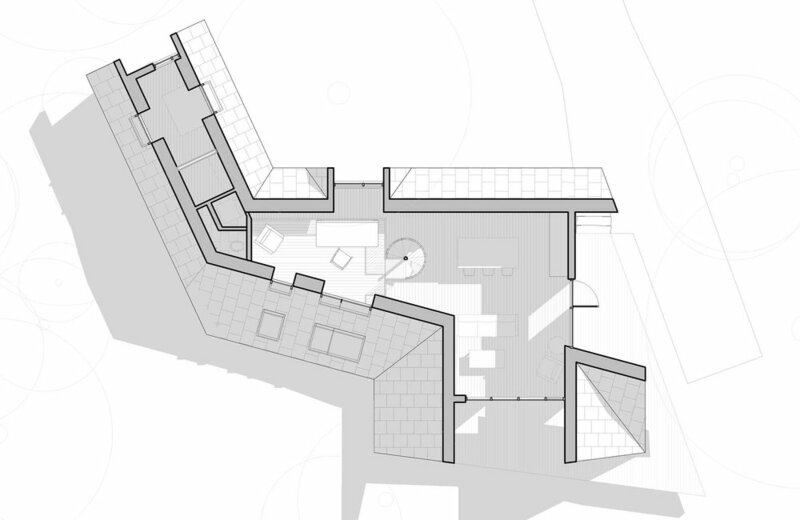 The efficient plan fits all of this into a compact 1000sf.